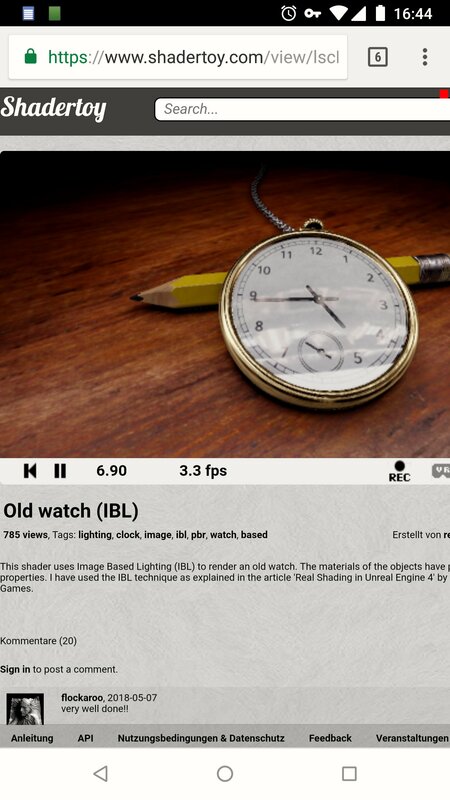 This shader uses Image Based Lighting (IBL) to render an old watch. The materials of the objects have physically-based properties. I have used the IBL technique as explained in the article 'Real Shading in Unreal Engine 4' by Brian Karis of Epic Games.